Today I had one of the best practices. 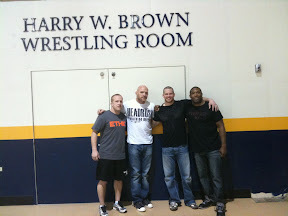 Willie Parks, Keith Jardine, Coach Leister, Andy and I went about ten, three minute rounds. Here is a picture of Leister, Keith, me and Willie after practice at UNC. Now it's time to chow down.